Staff Sgt. Joseph F. Curreri, 27, a Special Forces communications sergeant assigned to the 2 nd Battalion, 1 st Special Forces Group (Airborne) at Fort Lewis, Wash., died in an accidental drowning incident at Siet Lake while deployed to the Southern Philippines region near Panamao, Republic of the Philippines. He was deployed in support of Operation Enduring Freedom – Philippines. This was his first deployment in support of the Global War on Terrorism. Curreri was born and raised in the suburbs of Baltimore. He was a four year varsity letter winner in swimming and founded his high school water polo team. Upon graduation from high school, Curreri attended the University of Southern California. While at USC he earned a Bachelor of Arts in History, was a fouryear varsity letter winner in swimming, and was the captain of the Trojans swim team during his senior year. Additionally, he served as the Executive Vice President of USC’s StudentAthlete Academic Council in 2000-2001. 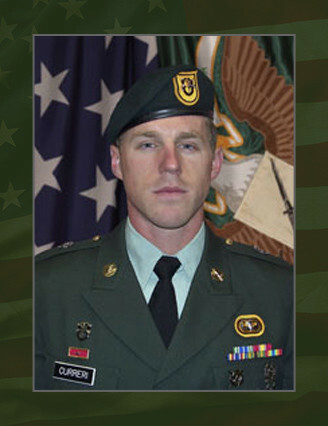 After graduating from USC, Curreri worked as a history tutor, swim coach, and recruiting coordinator for a recruiting agency in El Segundo, Calif.
Curreri’s military education include the Warrior Leader Course, Basic Noncommissioned Officer Course, Basic Airborne Course; Survival, Evasion, Resistance, and Escape Course; Special Forces Qualification Course, and the Combat Diver Qualification Course. His awards and decorations include the Army Achievement Medal, National Defense Service Medal, Global War on Terrorism Service Medal, Noncommissioned Officer Professional Development Ribbon, Army Service Ribbon, Parachutist Badge, Special Forces Tab, and the Special Operations Divers Badge. He was posthumously awarded the Global War on Terror Expeditionary Medal, Army Commendation Medal, and Meritorious Service Medal. Curreri is survived by his wife, Athena, of Los Angeles, Calif.; mother, Karen, and sister, Shannon, of Redondo Beach, Calif.; father, Frank, stepmother, Tricia, and stepsister Angelia of Parkville, Md.